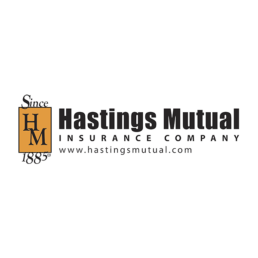 Founded in 1885 and headquartered in Hastings, Michigan, Hastings Mutual Insurance Company has had an outstanding reputation based on good customer service and innovative insurance products, backed by sound company finances. Property & Casualty insurance carrier. Hastings Mutual Insurance Company is a Midwest regional Property Casualty insurance company located in Hastings, Michigan. They offer commercial, farm, and personal insurance products through a network of independent agents in Michigan, Wisconsin, Iowa, Illinois, Indiana, and Ohio. Hastings Mutual seeks to maintain a balanced corporate strategy centered on superior financial strength, continued advancements in technology, product innovation, and outstanding customer service. They are a company focused on active participation in their local community and in the communities they and their independent agency partners serve. Solimar Systems interviewed Michael Schaper, Director of Application Development at Hastings Mutual Insurance Company to discuss how implementing a customized Solimar solution has helped his organization streamline document workflows allowing them to become more productive while lowering operational costs. Hastings Mutual is required to develop and distribute several different types of documents, including contracts/policies, correspondence/letters, internal reports, bills/invoices, statements and more. Each type has its own requirements and production challenges. “In selecting the Solimar system, Hastings Mutual sought a solution that was more flexible, easier, and less costly to maintain,” said Schaper. Hastings Mutual researched industry solution options to help drive and manage their document production workflows. After completing their analysis and seeking recommendation from industry consultants, they selected the Solimar Chemistry™ Platform as the most complete offering for their needs. The solution components include Solimar® Print Director™ Enterprise (SPDE), Rubika®, SOLindexer™ and SOLfusion™. SPDE coupled with Rubika and SOLfusion gives Hastings Mutual a robust solution that provides several ways to streamline workflows through automation. 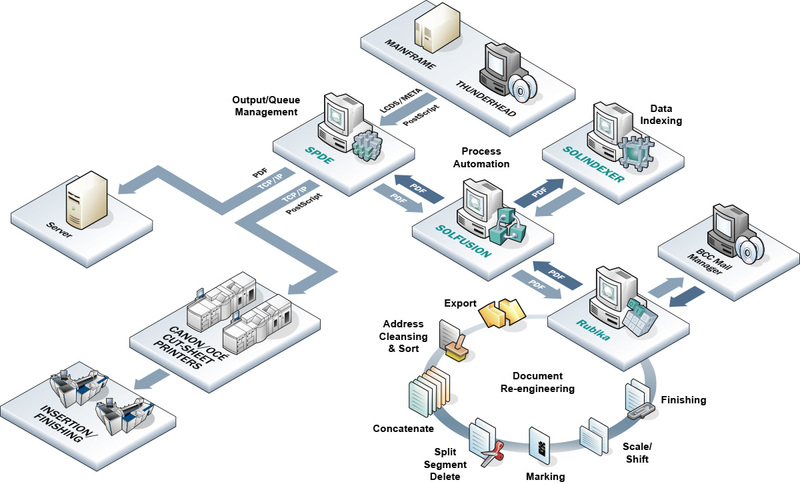 Rubika is an award-winning post-composition document re-engineering solution specially designed to automate manual processes, maximize postal savings, and enhance print data. Unlike other solutions, which rely on custom programming, Rubika requires minimal coding at the application level and provides an intuitive user interface to rapidly implement production changes. Since implementing the integrated Solimar system, the output process has become automated and efficient. “Using our new Solimar solution, our new workflow is streamlined and automated,” said Schaper. Hastings Mutual has discovered that Rubika may be used to solve a variety of challenges and can be configured in many different ways to increase efficiencies, reduce costs and boost profitability. A measureable system benefit that Hastings Mutual has discovered include a reduction in development costs. “Using our current Solimar solution, we have cut our development costs by over $30,000 per year,” said Schaper. “They always make sure that you’re satisfied with the support. We can’t say enough good things about the support we have received from Solimar,” said Schaper.